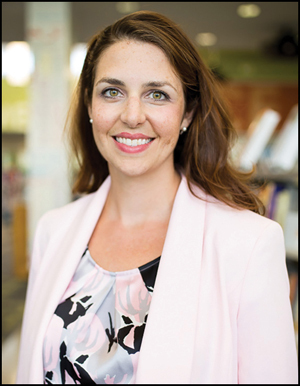 “Libraries fulfill their ultimate potential when they provide safe space for everyone...and empower patrons to realize their full potential,” says Megan Godbey. That philosophy underpins her work at the Nashville Public Library (NPL), where she initiated the Pathway for New Americans project, a partnership with the Nashville mayor’s office and U.S. Citizenship and Immigration Services. Nashville was the third such library and the first to open “citizenship corners outside the library,” she says. That initial effort has grown into a multifaceted program, with more than 350 classes and workshops on topics such as ESL, citizenship, Deferred Action for Childhood Arrivals (DACA), and library resources. Along the way, Godbey developed Fresh Reads, a collection of high-interest, lower-level books for new adult readers, marketing them in a nonstigmatized way. She also launched Nashville Helps, a website that connects adult learners to local social services. “Megan creat[es] innovative ways to…provide services that…improve people’s quality of life, whether through expanding their reading skills, increasing their ability to access better opportunities, or opening the doors for community and civic involvement,” says Adler. Godbey’s work has led to the creation of an immigrant advisory committee, and Pathway for New Americans now serves as a model for similar projects in more than ten other cities. What a joy to see Megan Godbey among this group of astonishingly strong and dedicated people! We met through the WCTE17 and all the members of the German delegation were impressed by the wonderful programs we were introduced to at the NPL. An Inspiration for all and the German libraries, who have become a place for learning and peace for the refugees, who came to our country!